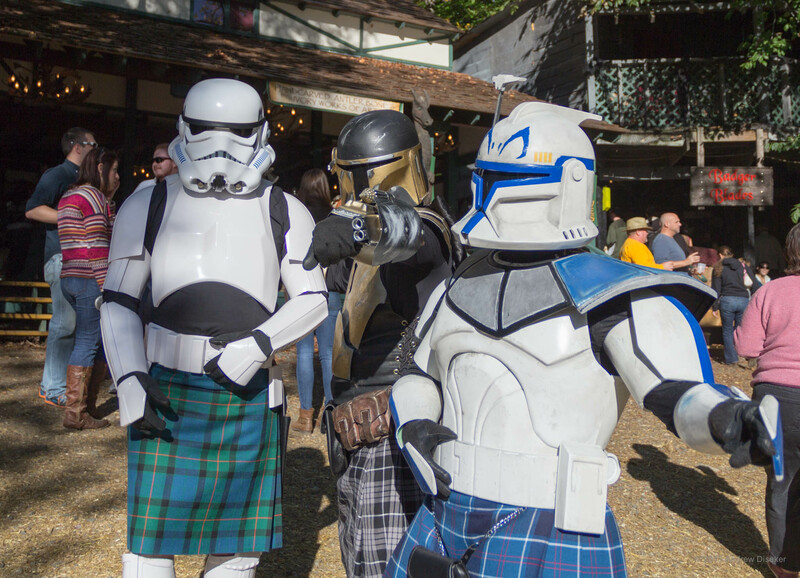 Maryland Renaissance Festival “Day of Wrong” – Nerdwatch! I went to the last day of this year’s Maryland Renaissance Festival, which is traditionally the “Day of Wrong”, where people come dressed in anything but medieval costumes, although some choose to dress in a mashup of historical and modern, like the “Scottish Stormtroopers” or the “Iron Man knight”, most are just regular cosplayers (as if “cosplaying” is a “regular” thing! =^_^=). I captured a few of the folks, including some cosplay friends, as well as the general ambience of the place. It was a beautiful day, sunny but kind of cool, perfect for an Autumn day. And so, hasten thou to ye Faire, and enjoy! Tagged cosplay, cosplayers, Day of Wrong, Maryland Renaissance Festival, Renaissance Faire. Bookmark the permalink.